After more than a 100 quakes yesterday new eruptions add to growing concerns about safety in lower Puna on Big Island Hawaii. Two new eruptions were reported in lower Puna on Saturday, sending more lava spewing into Kilauea's east rift zone as civil defence authorities continued to urge thousands of people who live in high-risk areas to be prepared to evacuate quickly according to Hawaii News Now. The new volcanic activity came after a two-day reprieve from active lava in the area. Some experts are predicting the Kilauea volcano could blow its crater in the coming days which could rain down lava and car-sized boulders around a two-mile radius. With over 1400 quakes in the last 7 days, another 100 tremors rattled residents on Hawaii's Big Island on Saturday as molten rock from Kilauea volcano flowed under an area where homes have already been destroyed by fiery lava geysers. Fifteen large cracks or fissures have opened on the eastern flank of Kilauea, one of the world's most active volcanoes, destroying dozens of houses and other structures and forcing around 2,000 people to evacuate their homes, according to Yahoo.com. They include Mount St. Helens, whose spectacular 1980 eruption in the Pacific Northwest killed dozens of people and sent volcanic ash across the country, and massive Mount Rainier, which towers above the Seattle metro area. 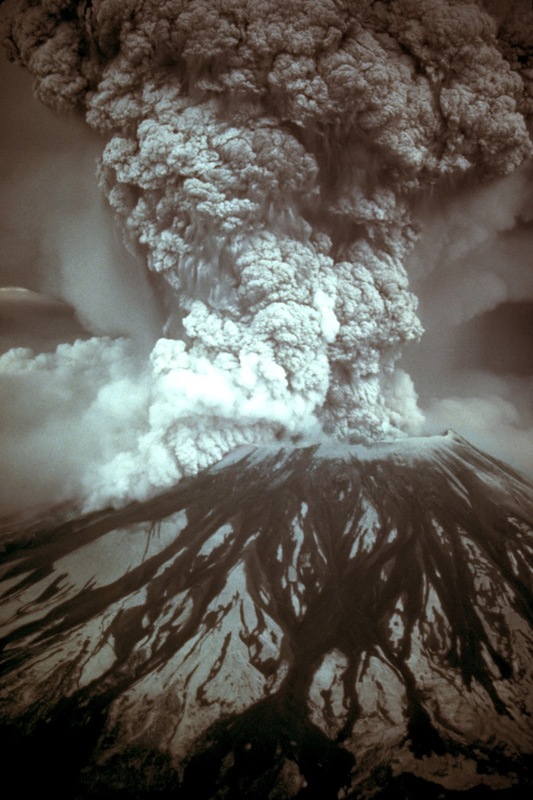 “There’s lots of anxiety out there,” said Liz Westby, a geologist at the U.S. Geological Survey Cascades Volcano Observatory in Vancouver, Washington, in the shadow of Mount St. Helens.